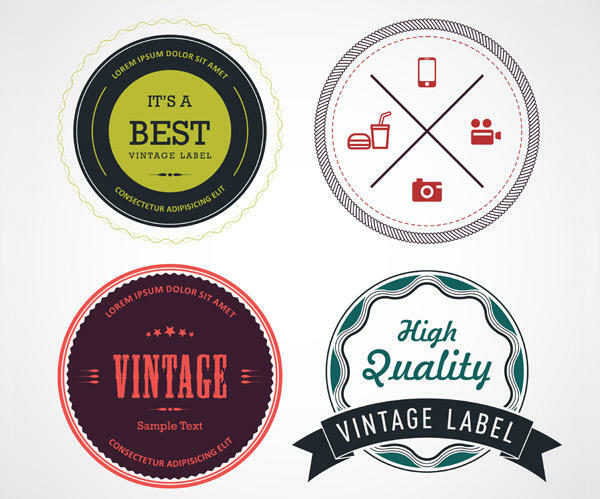 Retro styled and vintage badges and labels are very popular among designers these days. They can add a classic feeling to any web or print project, especially if they are paired with great typography. And they’re even better when they’re free! 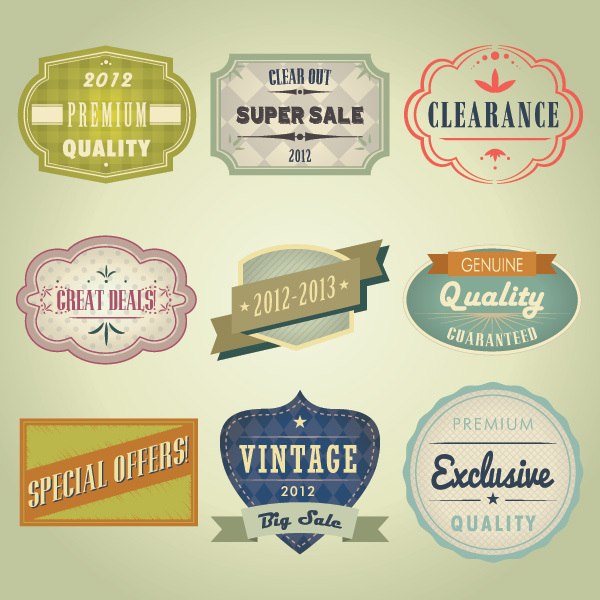 Check out this collection of 100+ free vintage badges and labels and start using them in your next projects. Have some retro and vintage badges you love? Share them in the comments below. 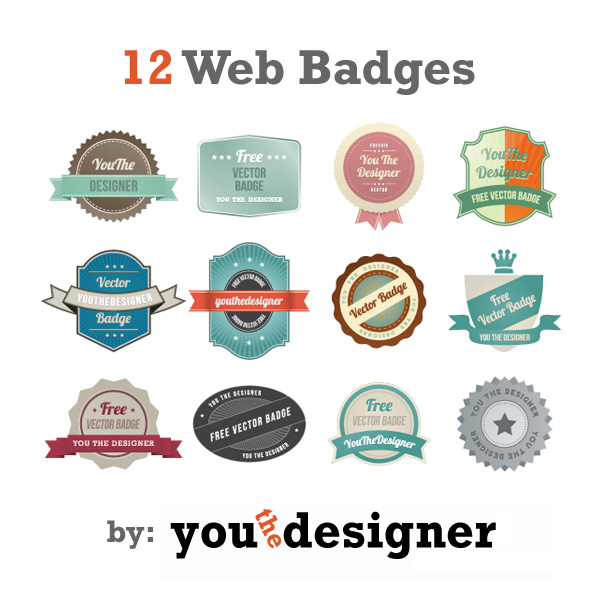 Here are some really fresh looking badges in the flat design style, which is very popular right now. I particularly love the vivid colors and strong color combinations with these. 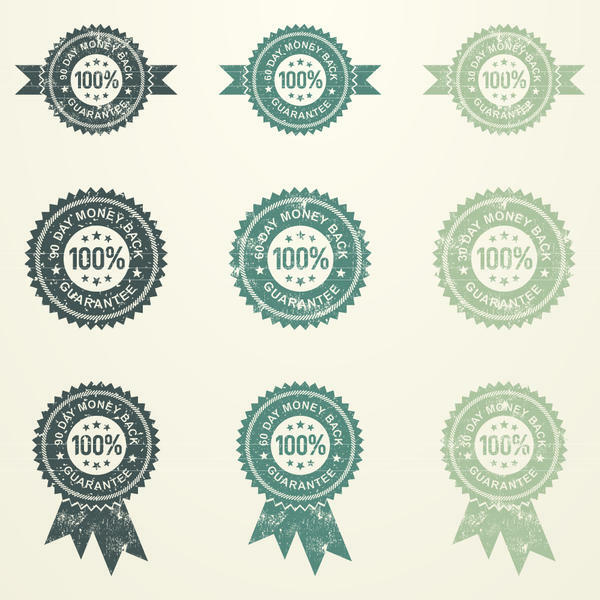 I love the small details in these vector labels, especially the dotted border seen on the outer edges of a few of these. So simple and elegant. 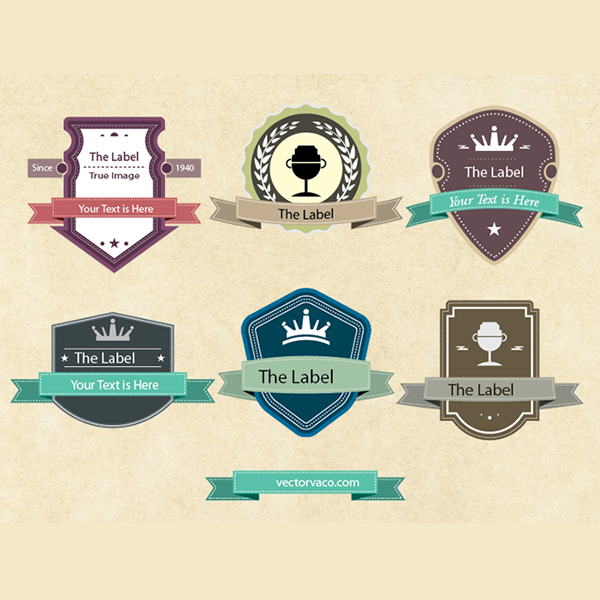 The monochromatic color scheme allows the good composition of these vintage badges and labels to really shine! 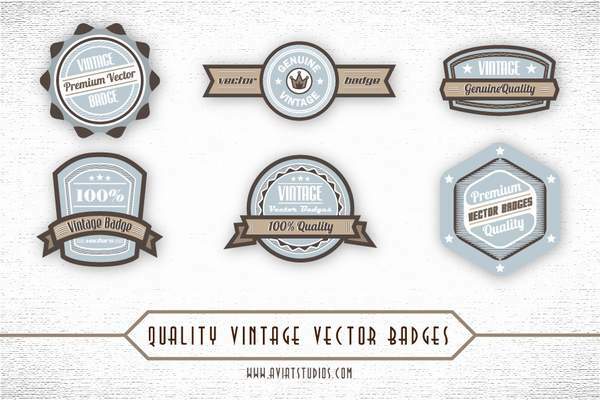 Use one of these badges to enhance your retro styled projects. Just add your text and you’re done! 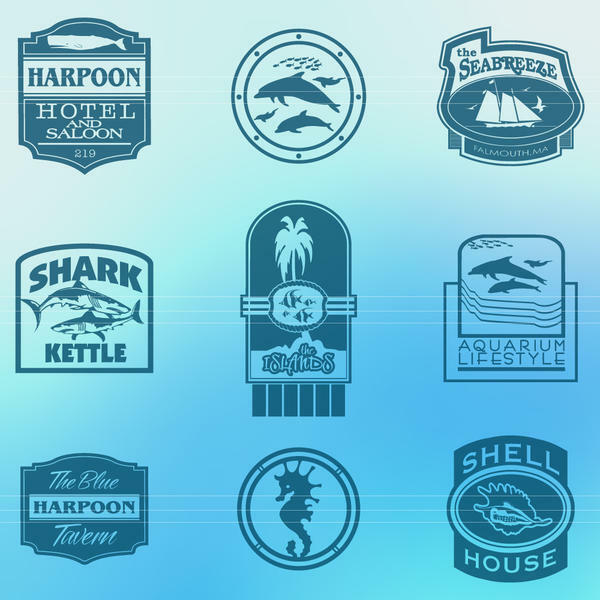 These look like they could be a logo for an old, home-owned beach hotel from the 1960s, don’t they? I especially love the animal graphics in these. 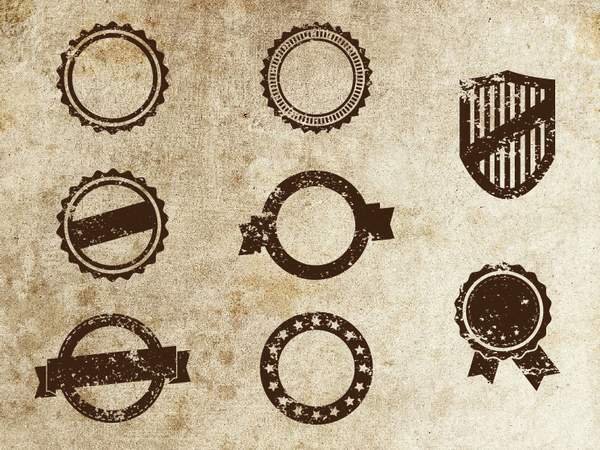 Simple and beautifully colored vintage badges. 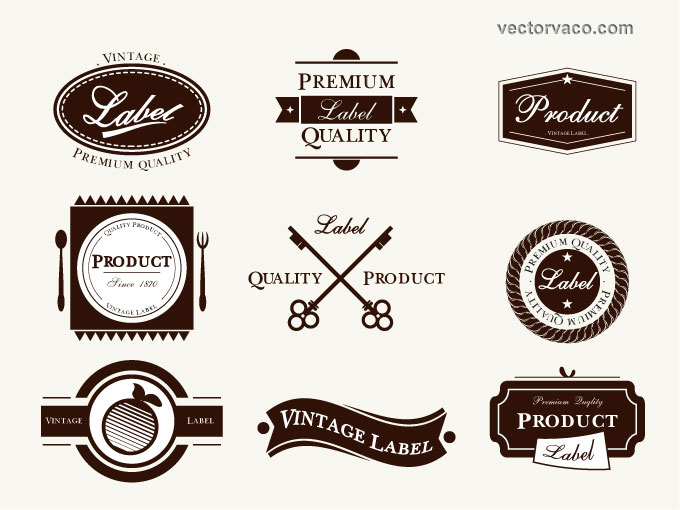 Although small in number, this vector set really packs a punch with the quality of each piece. 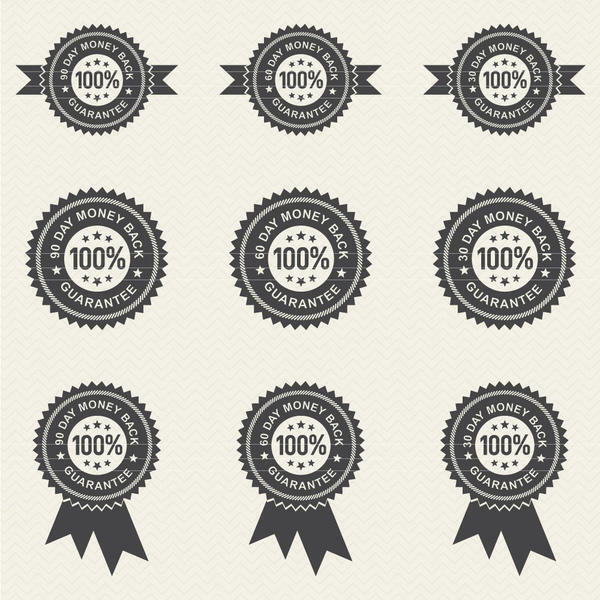 With the clean, balanced design of each badge, these would complement almost any design. Tis the season for weddings, so grab this set of free fully customizable vectors to use in your unique Save the Dates and wedding invites. The clean, defined lines in this set leaves for a clean, strong design. It’s interested how color schemes go in and out of style. That’s what I really like about these badges. 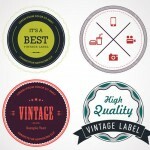 The color combinations used in these badges really add an authentic retro feel to them. These badges look so classy! They’d be great to use as a stand-alone logo for one of your more swanky designs. just a comment: a Creative Commons Attribution 3.0 Unported License. – is not free!!! and when people tell me free for personal use i giggle – everything on the net is free for personal use with or without the permission of the owner, as there is no way to ever know!! !